"A mysterious point and click adventure game... a tale of friendship, the supernatural and unravelled secrets" Your name is Winston. You are very much a regular, normal chap - living in London with your girlfriend and holding down a 9 to 5 office job. Among your various hobbies, you are a mudlarker. That is, the practice of combing the shore of the River Thames for historically interesting objects that may have gone underwater hundreds of years ago. One day, you and your co-mudlarker Vincent stumble upon what appears to be a valuable golden locket - and your destiny is changed forever. Two days after the find, Vincent disappears on the shore, leaving only the locket behind... What follows is an atmospheric dialog and puzzle driven adventure game, bringing together elements of science fiction with a strong supernatural theme as you undertake your quest to find your friend and unravel many secrets along the way. Winston finds himself as an ordinary man in a very extraordinary situation... 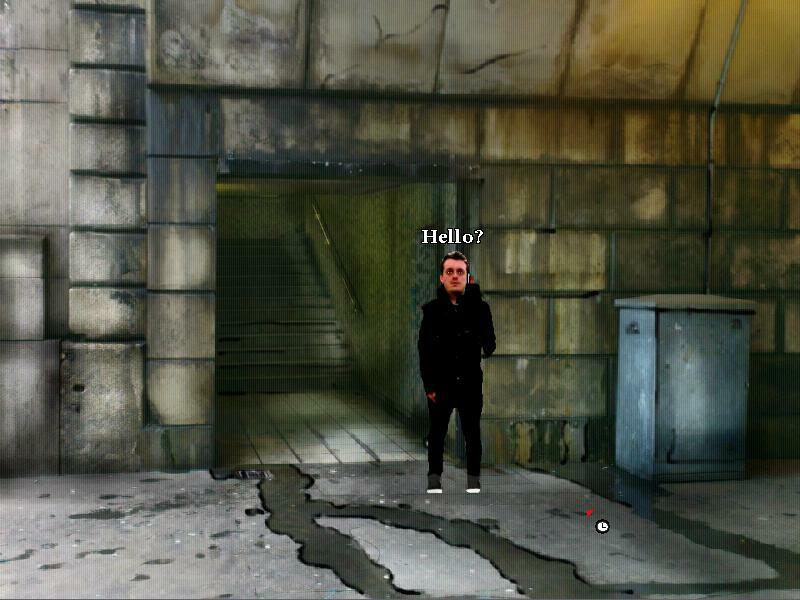 Features: - Over 40 locations to explore - A mysterious and complex plot set in modern day London - A cast of over 40 intriguing characters - A full length adventure game experience, five to ten hours of gameplay - Thousands of lines of dialog - Moments of spookiness - Over 60 inventory items - Virtual mudlarking - yes, that is a thing now! Works best with headphones. "This is a game for the patient player. I had to force myself to continue playing at the beginning. However, once you get past the far-fetched first part of the story, it becomes interesting and engaging. There are tons of photo-realistic backgrounds to explore and characters to talk with. 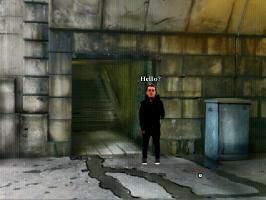 While the animations are rather bad causing some disturbing facial expressions on characters, the graphics and sound create a dense atmosphere. The puzzles are all logical and fit the story except for a very unfair one. The pacing is also very good. All in all, this full lenght game provides a very interesting and satisfying gaming experience once you get past some initial weaknesses. " The game has a very good atmosphere and is quite immersive. The picturesque scenery really contributes to the overall experience. With the exception of the points puzzle towards the end which was not properly designed and for which there were few clues, all the others made perfect sense. I enjoyed the game very much and I was really glad it was indeed full-length. I had to look at other things several times to get me through the game and most of the solutions....I'm embarrassed at my lack of patience and wanting to "rush through" games. A lot of stuff I'm sure I would've gotten on my own eventually if I hadn't just wanted to play , read , see what happens next, and be done with the game as quickly as possible. and I wish there had been an in-game hints system and in-game walkthrough feature. The graphics provided humor and helps make the game stand out. The story was interesting and I especially love the fact that it's more of a ghost story than about mudlarking. There's some things that bothered me ( like a certain female character's greed and living up to the stereotype of somebody with alleged powers ) and although I had to do a lot of questionable things I ultimately enjoyed the game. I usually don't like it when I *have* to steal or something but here there were "good" reasons for doing bad things. It's one thing if the player has the choice of stealing or not but quite another when they have to steal or kill or something in order to advance. I really enjoyed playing this game and I hope they will make more games like this in the future. A lot of time and effort must have gone into this game. The subject matter, highlighting the plight of the Jews, was educational and handled sensitively. As I am a big fan of the Capri games and the Carol Reed series, I loved the atmospheric photography. The dialogue was sensible and made good reading. My little grey cells got a good work out trying to figure out what to do next. Looking forward to playing your next adventure. This is a terrific game. The story is fascinating - touching and horrifying. I learned a lot about the hobby of mudlarking and the Southwark section of London. It was particularly interesting to me as I spent some time in London, including Southwark, last September. I enjoyed the photographic images of London and loved the unique characters. The dialog was particularly interesting - not all English people speak the same way and this game made that clear. A couple of puzzles were really tough and the animation was a bit crude. But overall the game is a real winner.